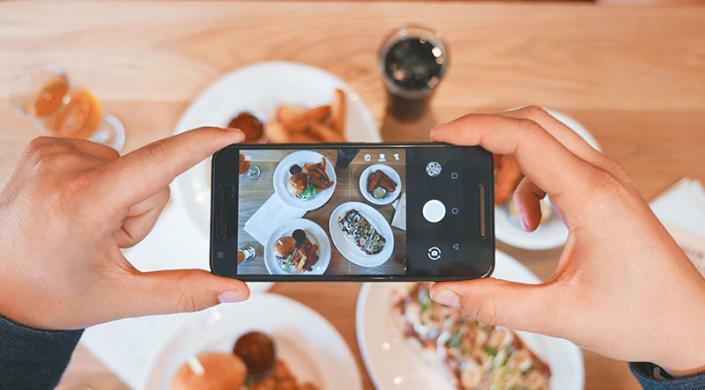 Many of our social media feeds are dominated by beautiful, mouth-watering photos of food. These photos inspire some serious food envy but could they also educate and encourage healthier eating? That was the question explored by a team of researchers from the Department of Biomedical Informatics at Columbia University and the Harvard John A. Paulson School of Engineering and Applied Sciences (SEAS). The results of the study were presented at the ACM SIGCHI Conference on Human Factors in Computing Systems in Denver, CO. So, Burgermaster and co-author Lena Mamykina, Assistant Professor of Biomedical Informatics at Columbia University, teamed up with Krzysztof Gajos, Gordon McKay Professor of Computer Science at SEAS, to develop an online experiment to test how people learn about nutrition. Gajos is a pioneer in online experiments. In 2011, he co-founded LabInTheWild, an online platform for conducting behavioral research with unpaid, online volunteers. Behavioral studies performed in conventional labs are often constrained by time, size and a homogenous volunteer pool — usually a group of undergrads from similar backgrounds. But online platforms like LabInTheWild can collect experimental data from a large group of volunteers from diverse backgrounds over extended periods of time. Online experiments offer controlled but real-world environments to learn about the mechanisms of behavior. Using LabInTheWild, the researchers designed an experiment to test how people learn about nutrition in the context of a social, online quiz. The team was specifically interested in participants’ knowledge of macronutrients, including carbohydrates, protein, fat and fiber. The experiment asked participants to compare photographs of meals — such as split pea soup and black bean soup — and identify which meal was higher in a specific macronutrient, such as carbohydrates. Later in the quiz, participants were asked to evaluate another pair of meals that included the same key ingredients to measure whether or not they learned anything from the feedback they received. About 2000 people participated in the experiment over a six-month period. The researchers found that, unsurprisingly, the participants who received additional information explaining the correctness of their answer did better on the quiz and learned more than participants who got no feedback or no explanations. However, the team also found that there was no significant difference between explanations generated by experts and explanations generated by peers. “These findings suggest that rather than relying on experts to teach nutrition literacy online, we can corral the wisdom of the crowd to help people make more informed decisions to improve their health,” said Mamykina.